“While we’re making a profit and delivering services, we’re also helping,” said WeeXpress President Michael Maranan during the media launch of the mobile app of the newest logistics services courier, WeeXpress. Created by Filipino developers with vast experiences in shipping and transportation, WeeXpress aims to provide the delivery needs of its users in the cheapest and fastest way. With the fast-growing number of delivery mobile apps in the Philippines, transporting documents and goods from one place to another becomes more accessible nowadays specially with the current situation of traffic in the metro. Delivery service has never been so easy and affordable. Right at your fingertips, transporting and delivering goods whether it is a document, parcel, or packed food, is easy as WeeXpress got you covered. WeeXpress Operations Manager Arvin Lasala shared that they had been planning to start this logistics services courier way back in 2012 and decided to soft-launch the mobile app two years ago. With a total of 130 operating motorcycle and bicycle riders, as of writing, WeeXpress has started to operate in the Metro Manila area and will soon operate in provinces like Batangas, Cavite, Cebu, and Davao. Present riders operate from 8 a.m. to 5 p.m. The base rate is at P50.00 for the roadside pick up and P60.00 for the door-to-door deliveries within the first three kilometers. Succeeding distance would be charged P12.00 per kilometer. Customers also do not need to worry about their parcels for in every delivery is equivalent to a recipient code that will help them secure their packages. 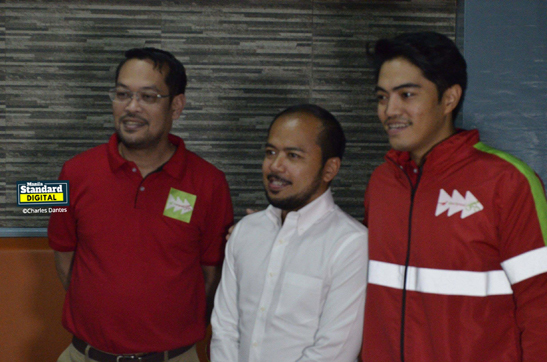 As bikers themselves, Lasala and Maranan were inspired to push through with WeeXpress to promote biking while earning. More than that, opting for a pollution-free transportation is a better way to help in preserving the environment. “We are the first logistics services courier to push bicycles as an alternative mode of transporting parcels and deliveries in the Philippines. We want this to be the mainstream mode of transporting small goods here in our country due to its pro-environment advantages,” added Marana. However, what WeeXpress is proud of and makes them different from others is that their official riders need not have to have finished a four-year course as they want to give chance to the unemployed, who are willing to make deliveries on bicycles and motorcycles, given that they have the required government clearances. Moreover, in every delivery, P2.00 is donated to My Superhero Friends, a local and non-profit organization, which gives financial assistance to patients suffering from cancer and other rare forms of diseases. Additionally, Maranan also highlights the guaranteed same-day delivery, meaning, packages shall be delivered within eight hours. Payment will be refunded if deliveries are not delivered within the eight-hour limit from the time of pick-up to delivery. To download, search WeeXpress App on Google Play (for Android users) or AppStore (for IOS users).